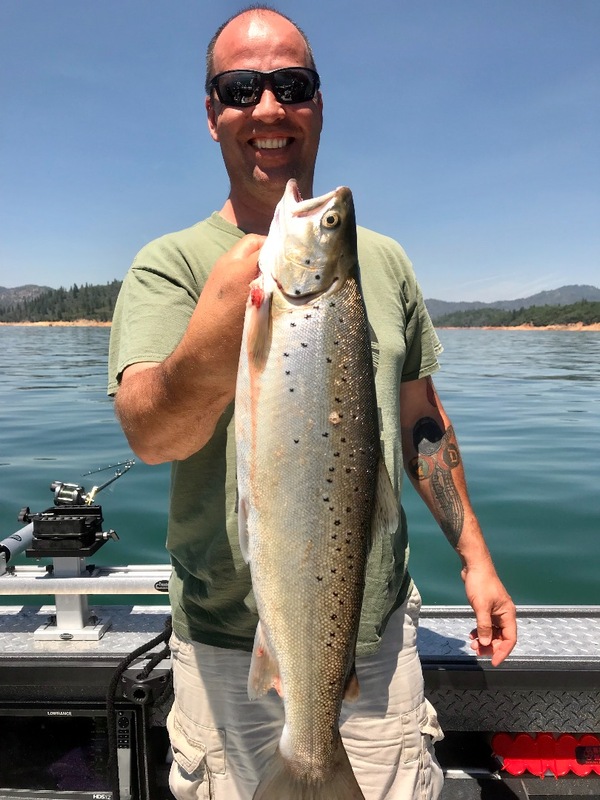 Today we fished Shasta Lake after a big moon and what turned out to be a very warm day on the lake. Morning bite was slow and by mid day the lake had flat, glassy surface conditions and a lot of sunlight penetration. We came in with limits, including some multi pound trout, but we worked for them a bit more than we had to yesterday. I'm taking a day off tomorrow, but Im back at it again on Thursday so stay tuned for more lake fishing reports as the summer fishing heats up in the weeks ahead! 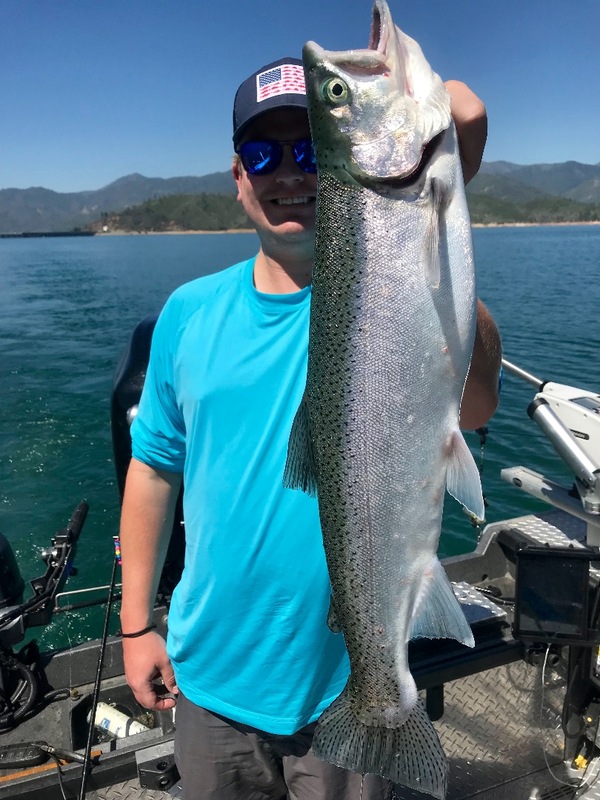 Shasta Lake trout season in full swing!